Any number of research studies over the past 50 years have shown a dramatic increase in the prevalence of allergies and asthma. The theories on why this is occurring vary widely. However it seems clear there that the rise takes place as populations become more Westernized in energy use, diet, land use, and physical activity, among other things. Certain populations however seem to be protected from these very common illnesses. 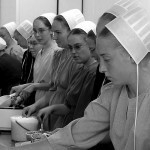 Among them are the Amish of northern Indiana a community of approximately 25,000 individuals. The Amish emigrated from Switzerland over 200 years ago to escape religious persecution. The majority of the Amish families live in Indiana, Ohio and Pennsylvania. Medical insurance is not part of their culture. They also do not drive or have electricity in their homes. They primarily live an agrarian lifestyle. My experience with the Amish began in 1987 when I first moved to Indiana and began visiting Amish country from our Indianapolis home. While they have a mystique of being insular, in fact they welcomed my whole family into their homes. We developed a close relationship with two families and would often spend time on their farms. My children were in grade school when we first began to visit. The contrast between our lives at home and our visits with our Amish friends couldn’t have been more dramatic. At home, our days consisted of dragging the children out of bed, warning that if they don’t eat breakfast they will not have a good day at school, picking them up from school and trying to avoid the ever-present question to get some fast food on the way home and then trying to have a family dinner uninterrupted by telephone calls, television and a variety of other distractions. The day of an Amish child was quite different. Those of school age are up and in the barn by 6 AM. They help feed the calves and do chores with the animals. Seven o’clock breakfast was always preceded by a prayer, then off to school on a bicycle or horse-drawn buggy. They all attend a one-room schoolhouse with grades first through eighth as the Amish children stop school at eighth grade. After school it is back home by 4 to help with chores again–feeding the calves and helping in the barn for the younger ones and milking the cows as they get older. Then family dinner: no TV, no phones just conversation. After dinner they play outside, and then to bed. Saturdays and Sundays were no different except there was no school. From age six, children were expected to do chores on the farm and we never heard a complaint. And more to the point, we didn’t hear much sneezing and wheezing either, because as you will see as you read the rest of the story, as physicians and scientists we have found a number of factors that seem to be important in reducing the prevalence of allergic disease. Moreover, I have asked myself if there is more than just exposures involved, and whether there is something special about how they lead their lives and its impact on well-being. 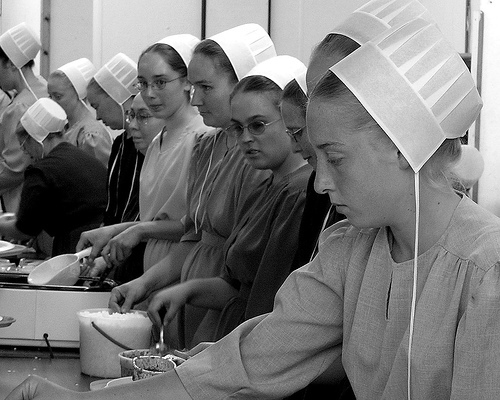 I began offering free allergy and asthma clinics for the Amish population. I would invite patients by placing a notice in the local Amish newspaper announcing a clinic for anyone who is interested. We would see 25-30 patients at each one. Surprisingly we found very few had allergies. For Amish children, as for non-Amish, things like runny noses that seem to last a few weeks, or diarrhea, a skin rash, or a cough are often “labeled” allergic by the family health-care provider. Ask any allergist–when we see them these symptoms usually turn out to be transient rather than chronic allergic conditions. With the Amish there is an added level of confusion, because “Amish practitioners” are part of the community, but untrained, and possibly selling supplements along with the diagnosis. Families who see a variety of alternative practitioners–reflexologists, naturopaths, and chiropractors–get the same comment: it must be “allergies.” But my testing showed almost no allergies among this population. I continued to make these observations for a number of years. Then in 2002 an article appeared in The Lancet, a British medical journal, describing a group of Swiss children who live on “traditional” Swiss farms; that is farms with the home and barn attached as one building. These children seem to be protected to a greater degree than their non-farming neighbors. Over the years I continued to follow the literature from Germany and Switzerland. In March of 2010 I had the opportunity to meet the German physician whose research comprises the foundation of what has come to be known as the “Hygiene Hypothesis”, Dr. Erica Von Mutius of Ludwig-Maximilians-Universität München. I told her about what I had seen among the Amish and she encouraged me to look more carefully at this population with a formal research study. This wasn’t simple. I am an allergist in private practice in Indianapolis, three hours from the Amish, and had no funding or time to do a study. However, a number of things came together. Dr. Von Mutius was very encouraging and insistent that this population be studied. She came to visit and observed that the community has the “perfect” exposures that prevent the development of allergic diseases. I applied for and received two grants, one from the American Academy of Allergy Asthma and Immunology (AAAAI) and one from the St. Vincent Foundation, a granting agency affiliated with my local hospital. In the fall of 2010 we began a study, which was completed in March of 2011. The results are now published in the Journal of Allergy and Clinical Immunology. The results were quite interesting. We compared Amish school children to both the Swiss children who live on traditional farms and non-farm Swiss children. We looked at the presence of allergic sensitization by testing for common allergens such as grass, cat or dust mites. In the Swiss non-farming children the prevalence of allergic sensitization was almost 50%. The Swiss farm children showed sensitization of only 25%. To our surprise, we found less than 10% of the Amish children had a positive skin test. This is the lowest reported prevalence of allergic sensitization in the literature. Now you might ask: Why is it important to my children and me to discover that people living in a small, insular religious sect in northern Indiana develop allergies less frequently than the rest of us? We have known for years that allergies and asthma are chronic illnesses. Children who develop animal allergy, peanut allergy, atopic dermatitis and asthma will often deal with these conditions for most of their childhood and often into their adult years. The treatments we have today rely on avoidance of the things that children and adults are allergic to such as nuts, animals and dust mites. If this does not work adequately we add medical therapy and in some individuals the use of allergy injections or immunotherapy. The question is then, why do the Amish not develop these diseases to the same extent as the patients all allergists see each day? In our particular study the numbers were too small to determine a difference between those few children who tested positive and those who were negative. However, extensive research done by my German colleagues and published in many prestigious journals has determined that a few factors seem to be protective. The strongest evidence points to mothers who work in the barn while they are pregnant. It also includes the fact that the mother is drinking raw milk during breast-feeding and that the children are weaned to raw milk, a fact that has already picked up by advocacy groups, mistakenly in my opinion, for reasons I will discuss in a moment. Additionally children spending time in the barn from a very young age where they have exposure to large animals and the foods that the animals eat seems to be another protective factor. We cannot cure allergies by having our patients “become Amish”. We can however continue research and try to understand how each of these various factors may protect against the development of allergy. As mentioned above, raw milk may be a major factor in the prevention of allergic disease. However, it should be noted that the use of raw milk for non-farm individuals is a very real risk and that we would never recommend that individuals consume raw milk in anticipation of producing some improvement in their or their child’s allergies and asthma. Milk directly from farms contains bacteria and other pathogens that can be harmful. 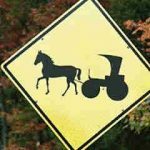 Amish children who have early exposures are “immune” from the ill effects. The process of transporting raw milk from farms to suburbs and cities will probably have no beneficial effects, and may be very harmful. We are now moving forward with a second study that will add additional information about exposures and how they reduce the prevalence of allergies in this unique population. What then is our goal for the future? Simply said, it is discovering a way to prevent children from developing allergies. Are we close? No. Do we have the best minds in the world working toward this goal? Yes. Dr. Von Mutius and her team in Germany are joining with researchers from Chicago and Tucson in these cutting-edge investigations. I am very excited that I will be a co-investigator with this team of researchers. 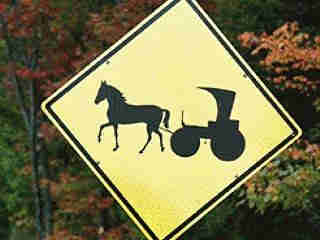 Finally I am grateful to my Amish friends without whom this research could not proceed. Dr. Mark Holbreich , an allergist in private practice in Indianapolis, received his training at the New York University Medical Center and The National Jewish Hospital in Denver Colorado. He is a Diplomat of the American Board of Allergy Asthma and Immunology and a Fellow of the American Academy of Allergy, Asthma and Immunology. He is active in local and national organizations and the recipient of numerous recognitions for his patient care and research. He is an active member of many local hospitals and on the faculty of the Indiana University School of Medicine.